Crown of Thorns was produced in a Limited Edition of 45. 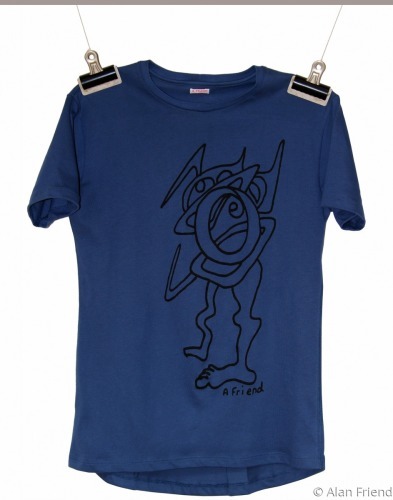 Each T-Shirt has been titled, signed, and numbered by the artist. The T-Shirt is 100% Supima® cotton and available in Small, Medium, Large, and Extra-Large. Happy Dog was produced in a Limited Edition of 45. 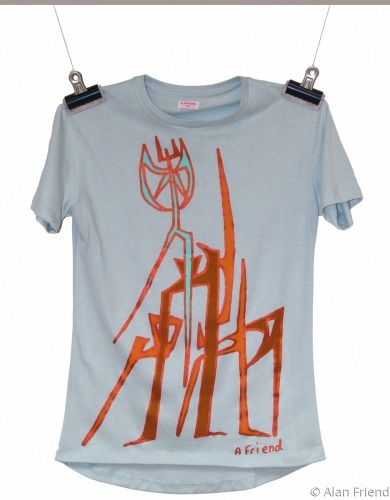 Each T-Shirt has been titled, signed, and numbered by the artist. The T-Shirt is 100% Supima® cotton and available in Small, Medium, Large, and Extra-Large. Love in a Strange Land was produced in a Limited Edition of 45. 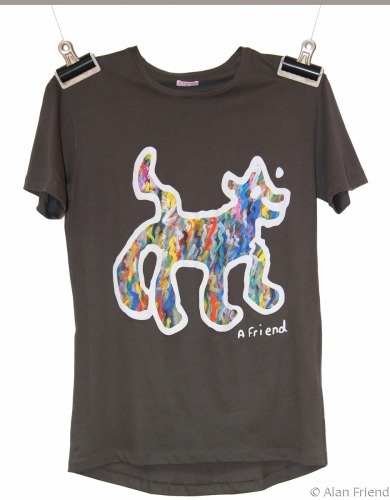 Each T-Shirt has been titled, signed, and numbered by the artist. The T-Shirt is 100% Supima® cotton and available in Small, Medium, Large, and Extra-Large. Running Man was produced in a Limited Edition of 45. 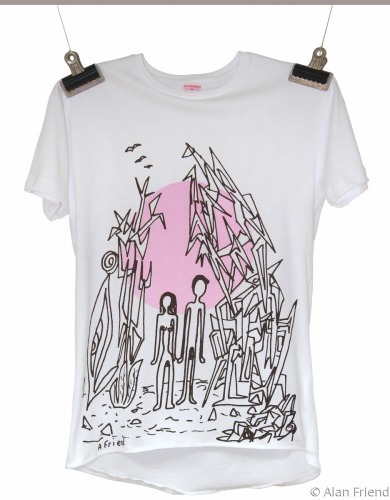 Each T-Shirt has been titled, signed, and numbered by the artist. The T-Shirt is 100% Supima® cotton and available in Small, Medium, Large, and Extra-Large. Sculpture One was produced in a Limited Edition of 45. 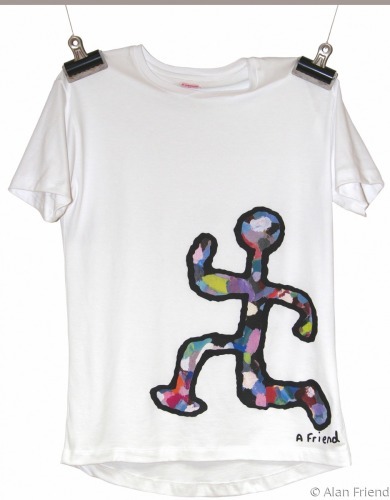 Each T-Shirt has been titled, signed, and numbered by the artist. The T-Shirt is 100% Supima® cotton and available in Small, Medium, Large, and Extra-Large. Sculpture Two was produced in a Limited Edition of 45. 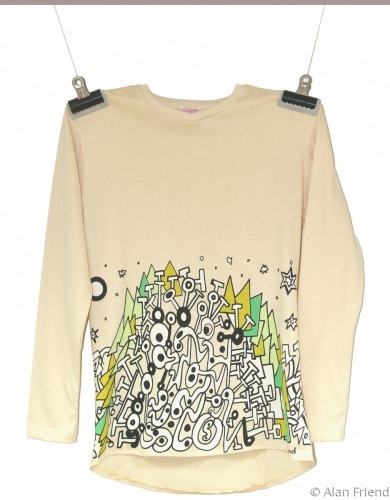 Each T-Shirt has been titled, signed, and numbered by the artist. The T-Shirt is 100% Supima® cotton and available in Small, Medium, Large, and Extra-Large.